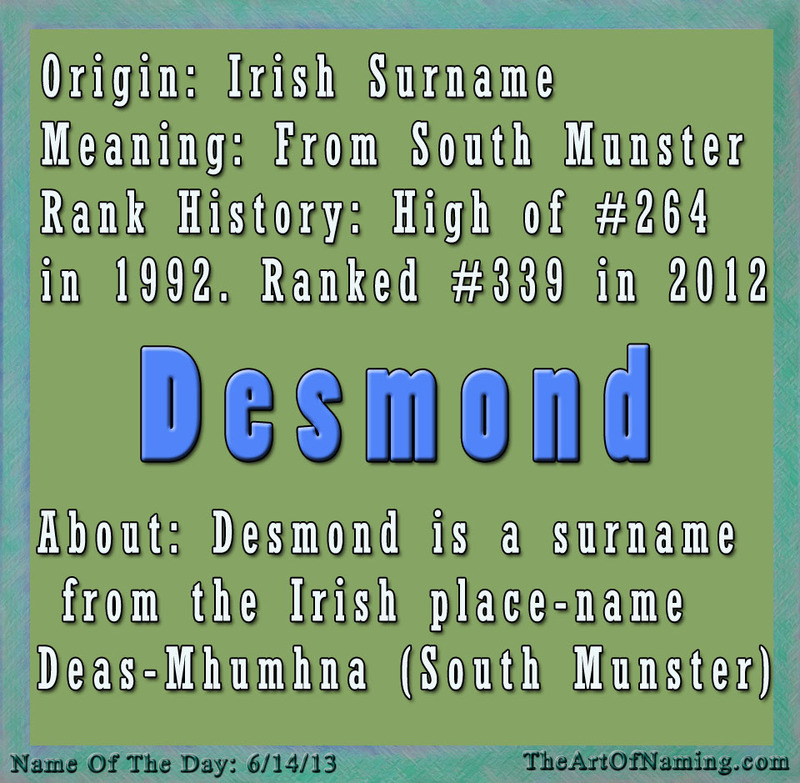 Today's Name of the Day is Desmond, one of my favorite Irish names. Yes, it is originally an Irish surname, but I can't help but love it for a boy's first name. It is bold but sophisticated. With the possible nicknames Des/Dez or Desi/Dezi, this name is starting to gain popularity in the US. Desmond first appeared on 8 US birth certificates in 1904. It slowly picked up steam every year after that with its largest naming spike in 1992 when 1,067 boys were born, ranking it at #264 on the Top 1000 chart. 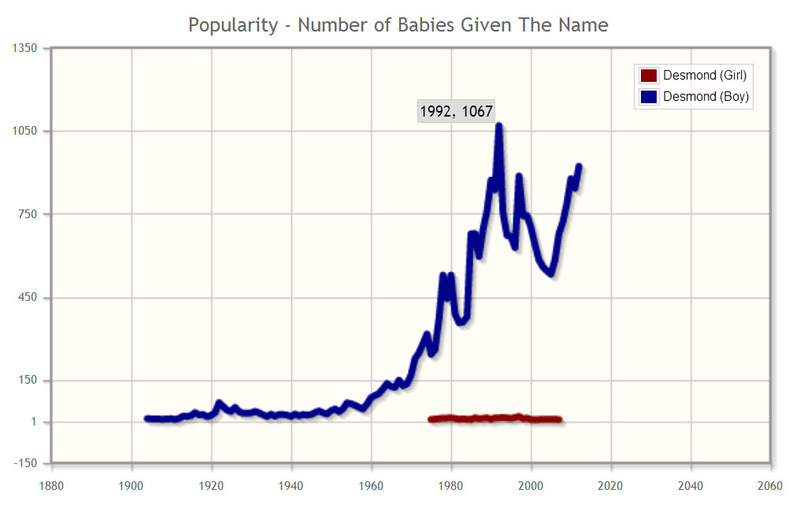 As of 2012, there were 920 baby boy Desmonds born, putting the name at a rank of #339. There have also been a handful of girls named Desmond almost every year since 1975. However, usage began slowing down in the 2000s, ending its female usage in 2007. 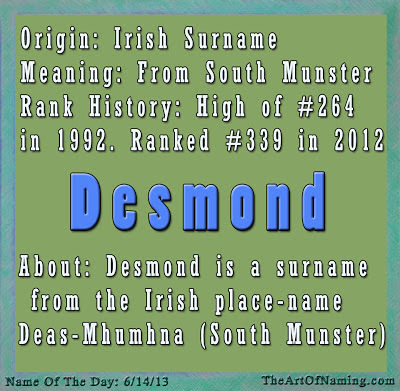 Desmond comes from an Irish surname which was derived from Deas-mhumhain meaning "South Munster", originally indicating a person who came from that region in Ireland. Therefore, Desmond means "one from South Munster." Desmond Harrington - American actor who plays "Detective Joseph Quinn" on "Dexter"
and many others, including some with the last name Desmond. While I personally love this name, what do you think of this name for a baby boy? Let me know in the comments below!